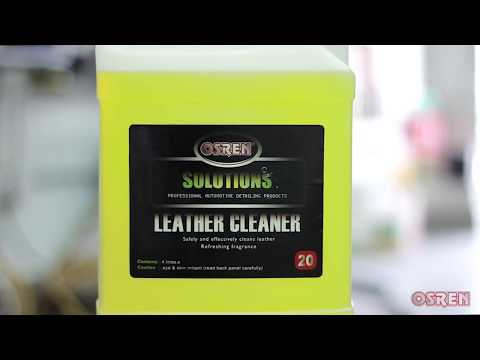 Unlike harsh degreasers or detergents which will leave streaks and hardens the leather after cleaning, OSREN Leather Cleaner contains specialized cleaning agents that safely deep cleans leather upholstery. Its foaming agents gently lifts dirt and emulsifies embedded stains but not essential oil in the leather, allowing leathers to be cleaned yet supple. Safely and effectively clean leathers.